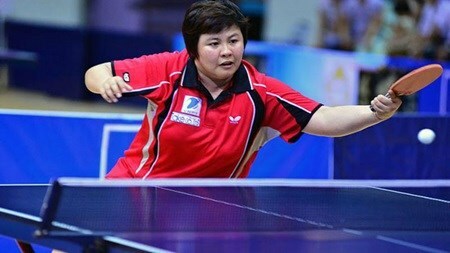 Hanoi (VNA) – Vietnam beat Slovenia 3-1 in the second match of the World Team Table Tennis Championships' women's competition, which is ongoing in Malaysia. The second match on February 29 saw Vietnam trounce Chile 3-0. Nguyen Thi Nga won 3-2 over P Vega, Trang beat K Rojas 3-0 and Linh defeated K Low 3-0. In a match a day earlier, Vietnam lost 0-3 to Luxembourg. After two wins and one loss, Vietnam are in fourth place in Group H with five points. They will next play Bulgaria. On the men's side, Vietnam tasted their first win by beating Switzerland 3-1. Vietnam, who previously lost to Slovakia and India, will meet Turkey in the next match.